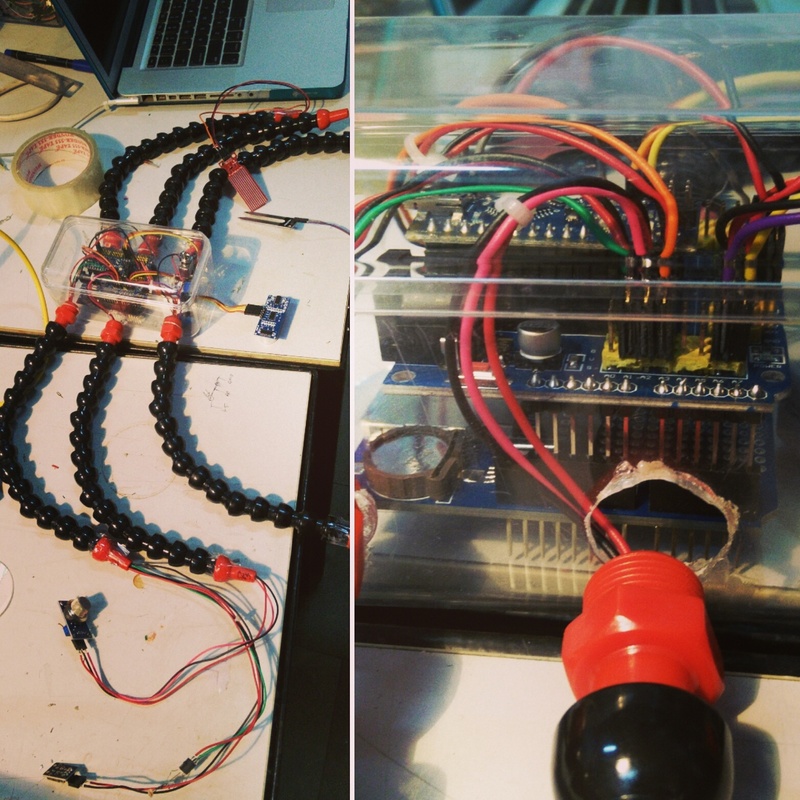 This summer, at (Art)ScienceBLR, we worked with The Indian Sonic Research Organisation and the Earth Co.Lab. Earth Co.Lab is developing a Swamp Song machine using environmental sensors. Swamp songs is a pedagogical experiment with electronics, sound, and ecology – It uses physical computing tools to develop ecological sensors in an effort to rethink how we perceive ecological data. The machine was based on the Arduino nano which is connected to a nano sensors shield and that is connected to a data logger. The machine measures pH, salinity, temperature, methane, moisture/humidity, turbidity and distance. The detailed process and how to make can be found here.